The Discovery Analytics Center and the Urban Computing Certificate Program (funded through a National Science Foundation traineeship grant and administered through DAC) will be well represented at the 24th Annual Association for Computing Machinery Special Interest Knowledge Discovery and Data Mining (KDD 2018) conference in London, August 19-23. The overall theme of this year’s conference is data mining for social good. Chandan Reddy, associate professor of computer science and DAC faculty, served as a poster co-chair for the KDD conference. Naren Ramakrishnan, the Thomas L. Phillips Professor of Engineering and DAC director, served on the senior program committee for the KDD research track. Aditya Prakash, assistant professor of computer science and DAC faculty, served on the committee for Health Day at KDD, held in conjunction with the conference, and is one of four organizers for epiDAMIK: Epidemiology meets Data Mining and Knowledge discovery, a Health Day workshop. This workshop serves as a forum to discuss new insights into how data mining can play a bigger role in epidemiology and public health research. While the integration of data science methods into epidemiology has significant potential, it remains understudied, Prakash said. The paper, “Forecasting the Flu: Designing Social Network Sensors for Epidemics,” (B. Aditya Prakash; Naren Ramakrishnan; Huijuan Shao, K.S.M. Tozammel Hossain and Hao Wu, all DAC Ph.D. alumni; Madhav Marathe, professor of computer science and director of the Network Dynamics and Simulation Science Lab (NDSSL) at Virginia Tech; Anil Vullikanti, associate professor of computer science at NDSSL and Maleq Khan, assistant professor at Texas A&M University) will be presented at the epiDAMIK workshop by Prakash and Vullikanti. 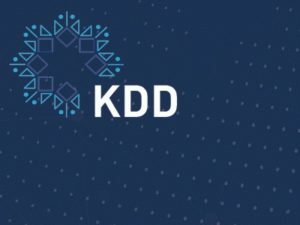 An Urban Computing workshop is also scheduled in conjunction with KDD2018. The objective of this workshop is to provide professionals, researchers, and technologists with a single forum where they can discuss and share the state-of-the-art of the development and applications related to urban computing, present their ideas and contributions, and set future directions in innovative research for urban computing. It is particularly targeted to people who are interested in sensing/mining/understanding urban data so as to tackle challenges in cities and help better formulate the future of cities. “Real-time Forecasting of On-Time Performance in Metrorail Systems” (Robert “Randy” Soper, Bryse Flowers, Sandeep Kumar Bijinemula, Brian Mayer, Farnaz Khaghani, Jordan Holt (Washington Metropolitan Area Transit Authority), and Naren Ramakrishnan). Mayer, project manager and research scientist at the Discovery Analytics Center, will represent this poster based on a project with WMATA that Soper, Flowers, Bijinemula, and Khagnani, worked on as NSF research trainees in the Urb Comp program. “Latent Allocation Spatiotemporal Models For Indoor Human Mobility” (B. Aditya Prakash; Yiming Gu and Hala Mostafa, United Technologies Research Center). “Privacy Preserving Smart Meter Data” (Swapna Thorve, Lindah Kotut, and Mary Semaan). Thorve and Kotut are NSF research trainees in the UrbComp program. Additionally, a DAC alumnus, Prithwish Chakraborty, is running a third workshop taking place during the conference, Machine Learning for Medicine and Healthcare (MLMH).